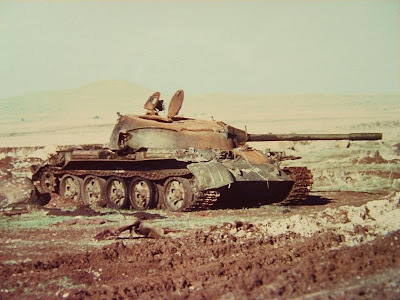 In the Golan Heights, the Syrians attacked the Israeli defenses of two brigades and eleven artillery batteries with five divisions and 188 batteries. 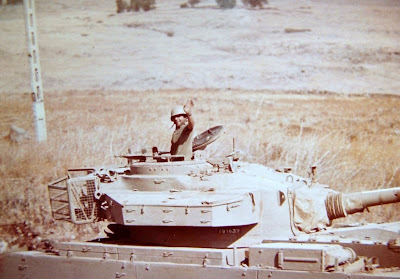 At the onset of the battle, 180 Israeli tanks and 60 Israeli artillery pieces faced off against 1,200 Syrian tanks and 600 artillery pieces.Each Israeli tank deployed on the Golan Heights was engaged during the initial attacks. 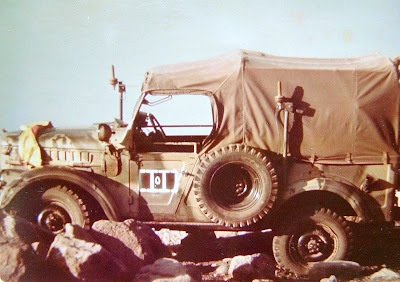 Syrian commandos dropped by helicopter also took the most important Israeli stronghold at Mount Hermon, which had a variety of surveillance equipment. Fighting in the Golan Heights was given priority by the Israeli High Command. 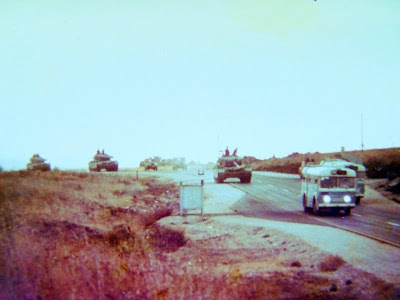 The fighting in the Sinai was far away that the Israeli population centers were not immediately threatened; should the Golan Heights fall, the Syrians could easily advance towards Tiberias, Safed, Haifa, Netanya, and Tel Aviv. 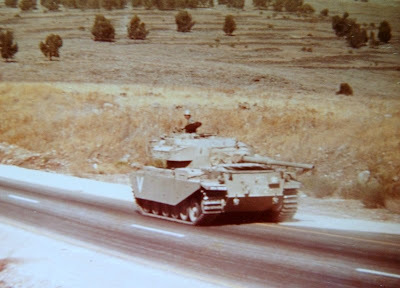 Reservists were directed to the Golan as quickly as possible. 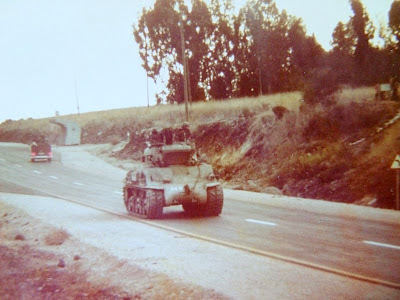 They were assigned to tanks and sent to the front as soon as they arrived at army depots, without waiting for the crews they trained with to arrive, without waiting for machine guns to be installed on their tanks, and without taking the time to calibrate their tank guns. 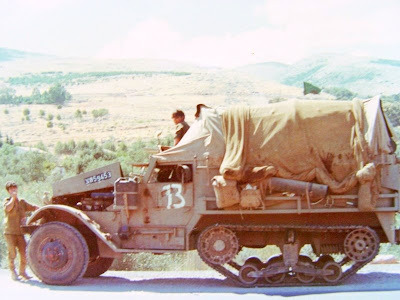 The Syrians had expected it would take at least 24 hours for Israeli reserves to reach the front lines; in fact, Israeli reserve units began reaching the battle lines only fifteen hours after the war began. By the end of the first day of battle, the Syrians (who at the start outnumbered the Israelis in the Golan 5 to 1, and in some cases, 11 to 1. 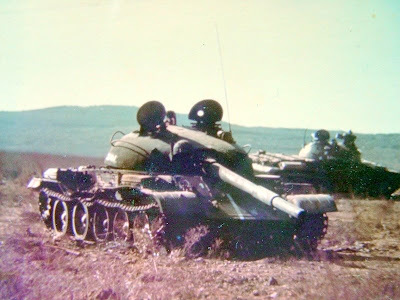 Syrian tanks out numbered Israeli tanks 10 to 1) had achieved moderate success. 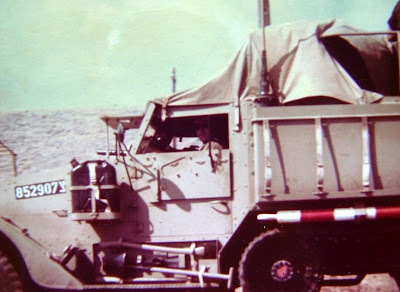 The Israelis put up fierce resistance, as tanks and infantry desperately tried to fend off the Syrians. 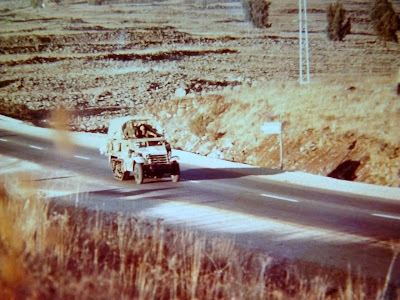 The IDF tank reserve crews used the roads to climb to the Golan from the Jordan river using number of roads since they were no trucks available. a volentir in a Kibbutz near the Golan.